Steve Wright is still not Married after Divorcing Wife in 1999: Is he Dating a New Girlfriend? Imagine this. You're driving and you tune on BBC radio and hear an endearing yet lively voice of someone who is dedicating romantic songs for all of us. It would make everyone's day, wouldn't it? Steve Wright is that one popular radio host who is famous for his afternoon podcast, Steve Wright in the Afternoon and Morning show and Steve Wright's Sunday Love Songs. The 62-year-old host was once happily married to his estranged wife Cindi Robinson, but the pair couldn't make it till the end. And now, after almost sixteen years of divorce, the talented host still seems to enjoy his singlehood. Or is he already married or dating someone secretly? Let's find out. Steve Wright still not Married after Divorcing Wife in 1999: Is he Dating someone? When you listen to his afternoon and morning shows on radio, you will definitely think that Steve is an outspoken and cool guy but he's completely opposite to that. He hardly appears in front of the media and paparazzi and doesn't share much about his private life. He remains an enigma to all of us. Steve Wright now (L) and then(R). When he's off the air, he enjoys being alone, not caring about anyone, eating Chinese. Also, he doesn't settle down at one particular place for a long time as he's always traveling like a nomad. One of his colleagues stated that he once bumped into Steve at London's Paddington station and asked him where he was going. Steve told him that he was going to New York. The friend asked him where his luggage was and Steve showed him his passport telling him that was his luggage! Steve Wright spotted taking a stroll in the streets of London. To add more, Since the divorce with his wife, Cindi, Steve has not been spotted with any of his mysterious girlfriends and there are no rumors of him getting married or dating someone. Perhaps, for someone who travels a lot and is a loner, it's quite difficult to stay in a stable relationship with someone so, we speculate that he's still single. Steve was married to his lovely wife Cindi back in the 1980s. The pair was happily married for 12 long years until in 1997, the once happy couple started living separately. Steve Wright with his former wife Cindi. After two years of separation, the couple finally filed for divorce which was finalized in 1999. The estranged pair share two children both sons who were raised by Cindi herself taking sole custody of the children. 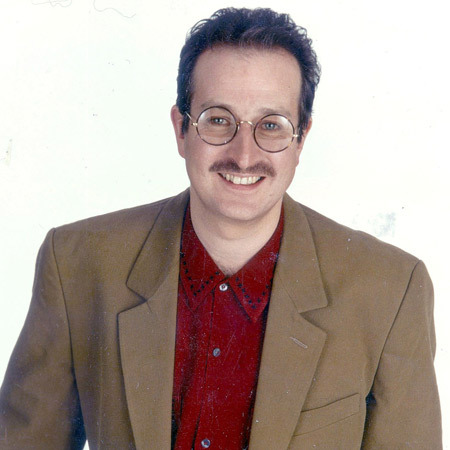 Born and raised in Greenwich, London, Steve Wright is the famous English broadcaster and radio journalist. Has two elder brother, born to his father, Richard Wright, who worked as a tailor. Attended Eastwood High School and started working for Radio station when he was just a student. Joined Thames Valley Radio 210 in Reading in 1976 and started broadcasting. Became popular and got the chance to work for BBC Radio 1 in 1980. Now, runs his own shows, Steve Wright n The Afternoon and Sunday Morning Show. Introduced a creative and "Zoo" format in the morning shows. He earns nearly $578thousand annually.